Homemade muesli cookies (or biscuits as we used to call them) used to be a staple in our biscuit tins when we were growing up. 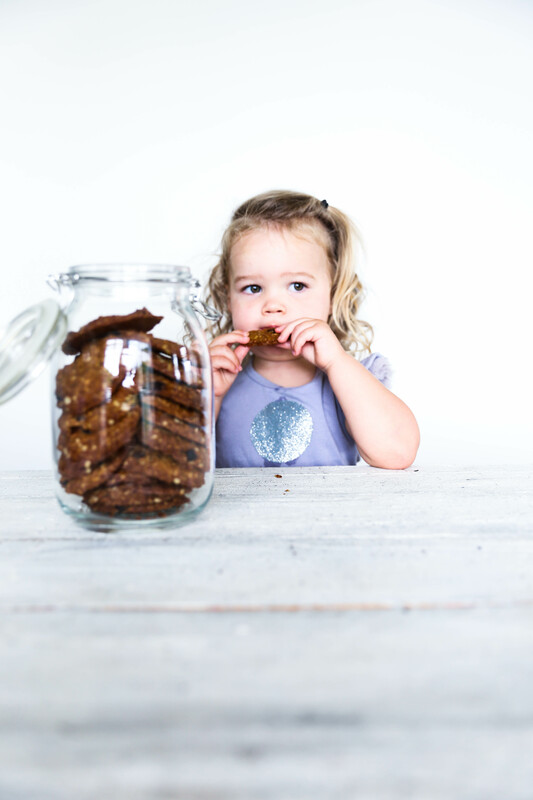 Ironically back then we’d much rather have had some kind of chocolate coated, store bought variety and we certainly didn’t appreciate the healthy aspect or time our mum took to make them. These days however, we’ve all done a complete about turn. 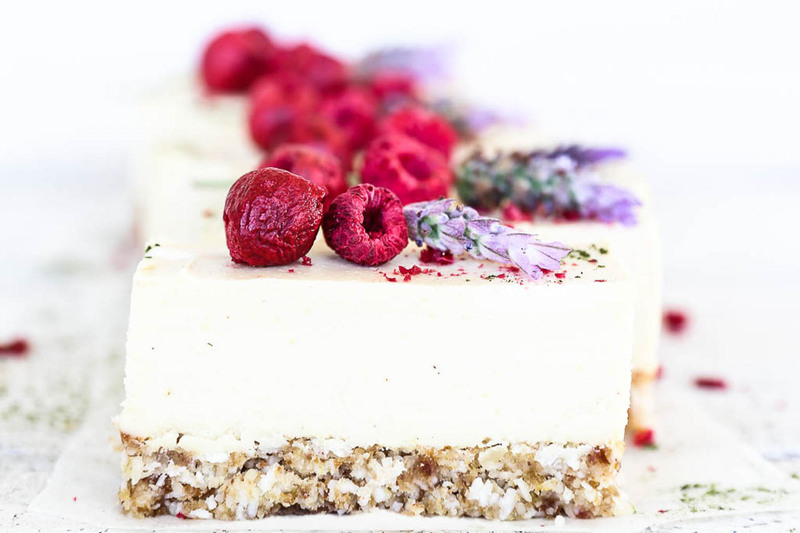 We’d choose a wholesome, low sugar, gluten and dairy free (raw/vegan!) cookie over a sugar-full store bought one any day, especially if they taste good! These muesli cookies are just that. 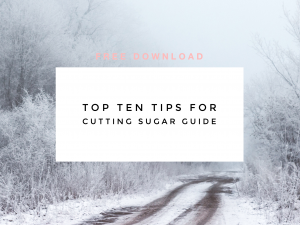 They’re completely refined sugar free, and only contain a small amount of coconut sugar which can be substituted for rice syrup if you want an even lower fructose option (though they won’t look quite as golden). 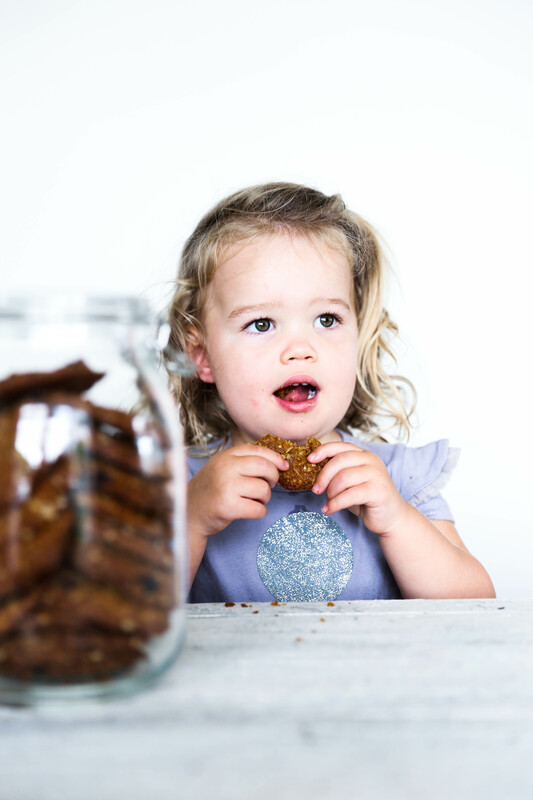 They’re packed with wholesome oats, coconut and buckwheat flour, and contain no dairy, eggs or nuts, so you can even send these ones off to play centre (only if you have kids though – might be weird otherwise). 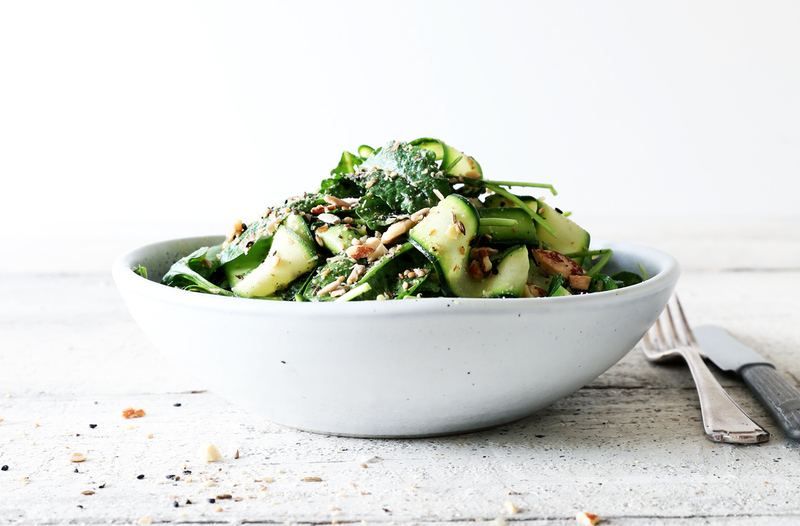 If oats aren’t your thing then you can easily substitute for more coconut or ground almonds. 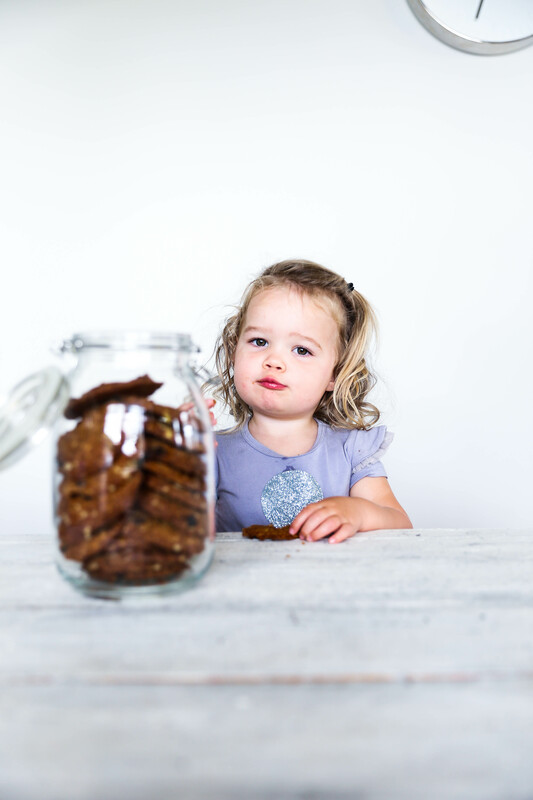 As you can see I had a little help with the taste testing and photographing of these cookies. My niece Indy gave them her seal of approval and Chewie was also a big fan, but to be fair he’s much less discerning and will frankly eat anything. 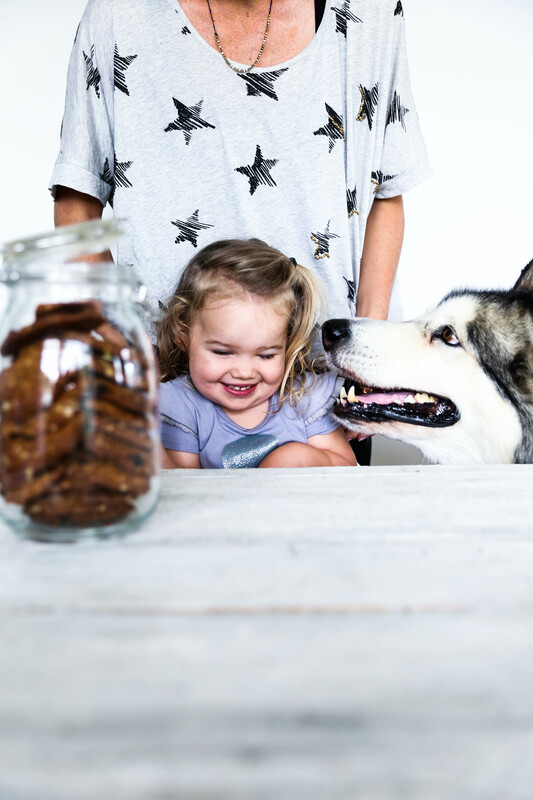 Hope you love these cookies as much as these two did and if you know of anyone else who’d love this recipe then please pass it on. Enjoy! 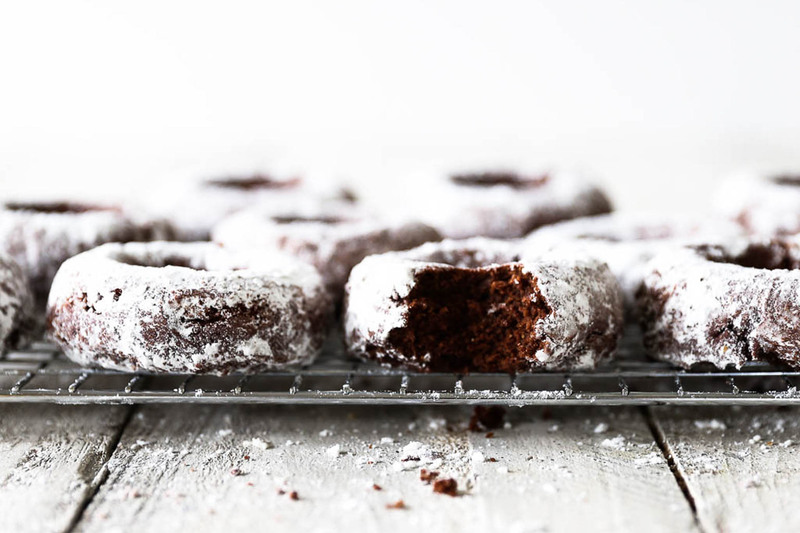 Do you have a nostalgic cookie recipe that you’d love to have a healthy makeover? Heat the oven to 170ºC and line 2 baking trays. Place the oats, thread coconut, buckwheat flour, coconut sugar, salt and spices (if using) into a food processor. Add the melted coconut oil. Mix the baking soda with the hot water and add to the mixture. Blend until well combined, the mixture should come together and be slightly sticky. Add the raisins and pulse to mix them in. Roll the mixture into balls and place on the lined baking trays. Flatten them into cookie shapes then place the trays into the centre of the oven and bake for 15 minutes. The cookies are ready when they have turned a golden brown (note if using rice syrup they won’t go as brown). Remove from the oven and allow to cool. 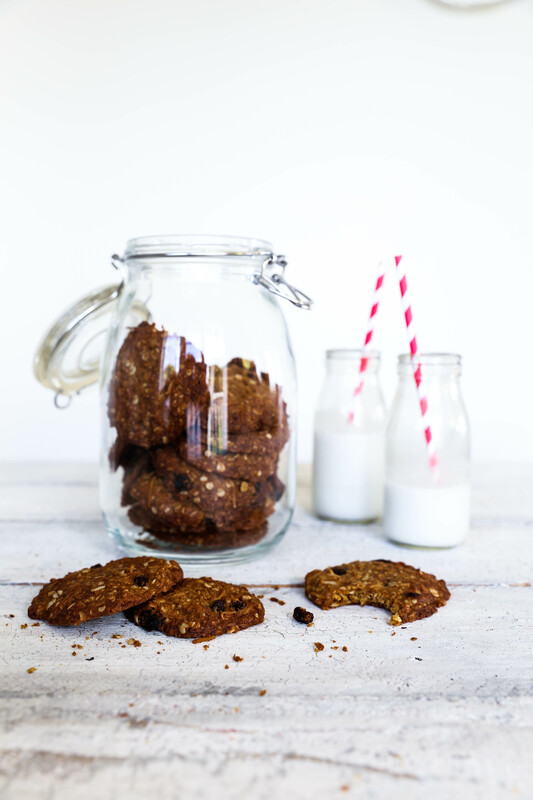 Store these muesli cookies in a sealed container at room temperature, and they will stay fresh for up to a week.